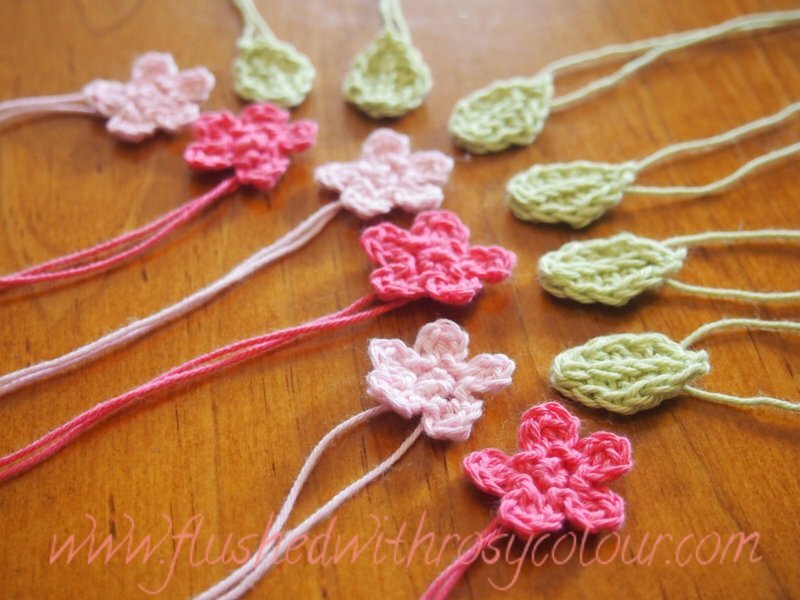 I made up some cute flowers to sell as embellishments in my online shop, along with some leaves which I made following the pattern from Easy Makes Me Happy. But I couldn't help myself, I felt I had to make something with them to show what could be done with them. 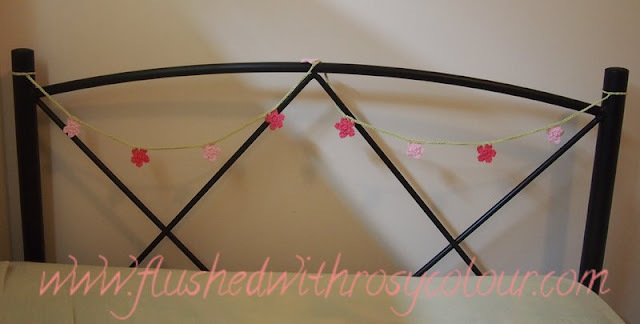 So I joined them up to make a "Spring Blooms" mini-garland. This one is not as long as the "Love Grows" garland which has leaves as well as hearts. 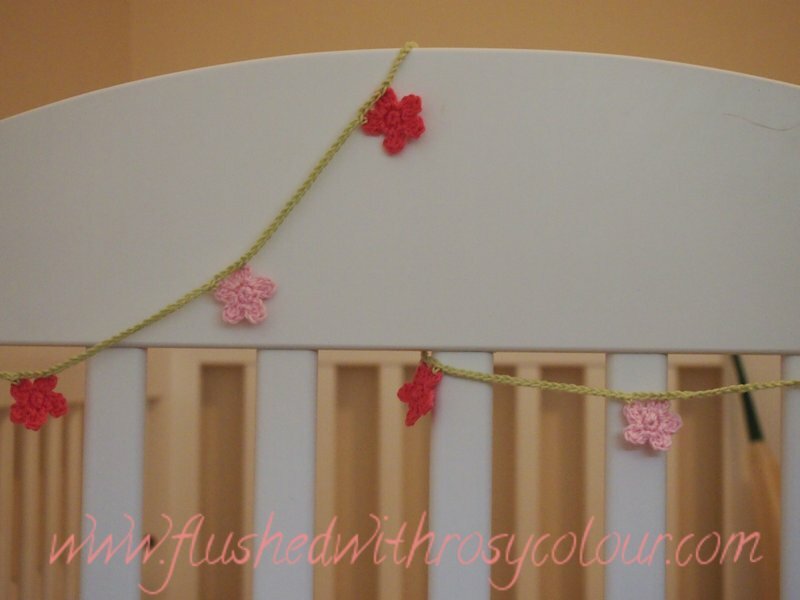 This Spring Blooms mini-garland is only one metre long, and is intended to be used a decoration of smaller places. 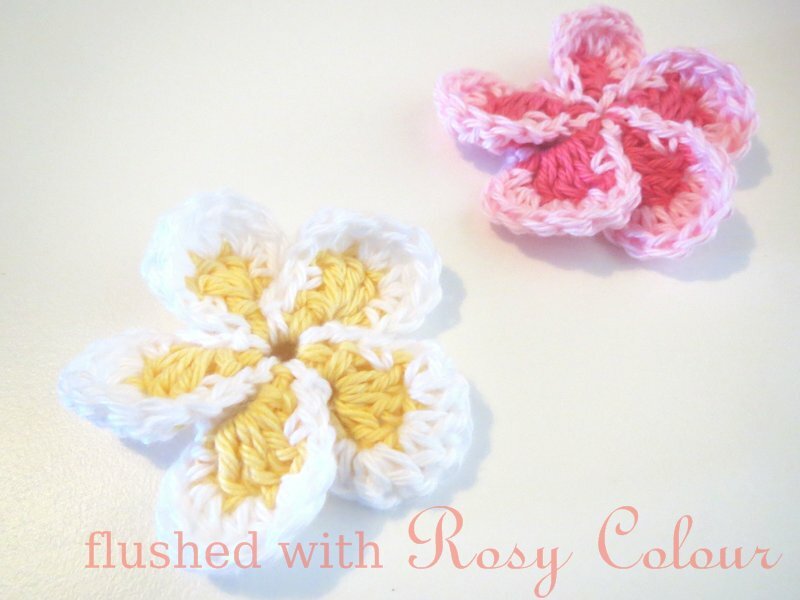 My First Pattern Is For Sale! The simplest toys are the best!